The AAP R54-VI54 is the smallest, most cost-effective solution ever offered on the market. Despite the scaled-down size of this system, many of the features and functionalities that are currently found in larger UVIS are also present in the AAP R54-VI54. The software features an on-screen dual-view inspection and functions using a standard touch pad that allows the user to access playback options such as pause, rewind, and fast-forward. Rapid 1 minute set-up time! Entire system weighs less than 40 lbs! The AAP R54-VI108 Under Vehicle Inspection System is the truly portable UVIS. The unit is ideal for rapid deployment and specially designed for high volumes of traffic on rough terrain. The eight camera system packs into two lightweight, portable Pelican™ Cases. The AAP R54-VI108 can withstand 50,000lbs and can be fully assembled by one person in 3 minutes! Rapid 3 minute set-up time! The AAP R54-VI110 is the most advanced Under Vehicle Inspection System on the market. 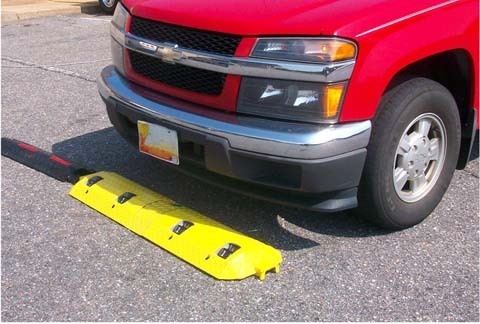 This highly specialized product incorporates ramp mounted license plate recognition cameras and provides a complete single image of the undercarriage. The AAP R54-VI110 uses ALPR to recall a vehicle's previous visits and offers side-by-side comparison inspections to aid the operator in locating any under vehicle discrepancies. The system can be configured as fixed or portable. The AAP R54-VI104 Under Vehicle Inspection System is a permanent, in-road UVIS designed to withstand rainy and dusty environments. 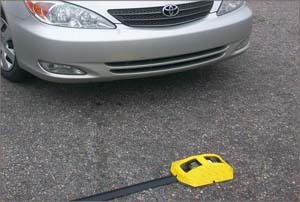 An optional state-of-the-art air knife debris removal system keeps the cameras clear of obstructions. The eight camera system allows operator to view under vehicle images in quad or linear formats. 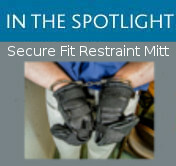 The AAP R54-VI104 has a slim design and will not obstruct the roadway. Unit requires drainage. 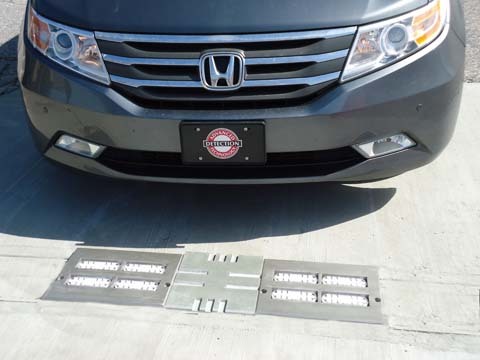 AAP R54-VI150 (UVIS) InGround Under Vehicle Inspection System provides road plate mounted LPR cameras and installation with minimal excavation This unit offers a variety of inspection modes all on one screen, including previewing previous inspections automatically by License Plate Number. 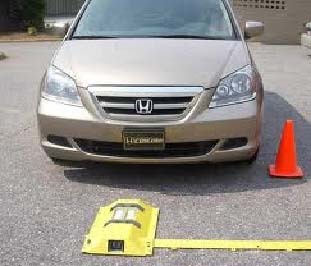 The purpose of Vehicle Barrier Systems is to prevent unrestricted vehicle access and to thwart any attempt to use a vehicle to breach the perimeter security. In their closed position they block the roadway, enabling security personnel to examine the vehicle and passengers before granting access. In their open position they allow vehicles to pass through unrestricted. They are typically placed across the roadway(s) leading to a building, industrial facility, military base, commercial complex, or public venue. 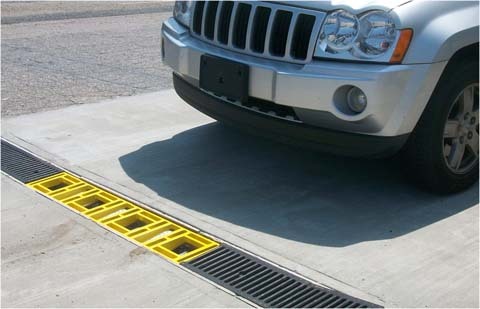 These barriers differ from conventional access restriction gates (such as used in parking garages) in that they will stop and destroy most any vehicle that attempts to breach the barrier, including an explosive-laden truck traveling at high speed. There are many different types or styles of vehicle barriers. Please contact us for more information on the best Vehicle Barrier Systems solution for your security needs.